In a world where technology is constantly changing and new types of jobs open up every day, it is important for the workforce to be trained and ready for the newest challenge. 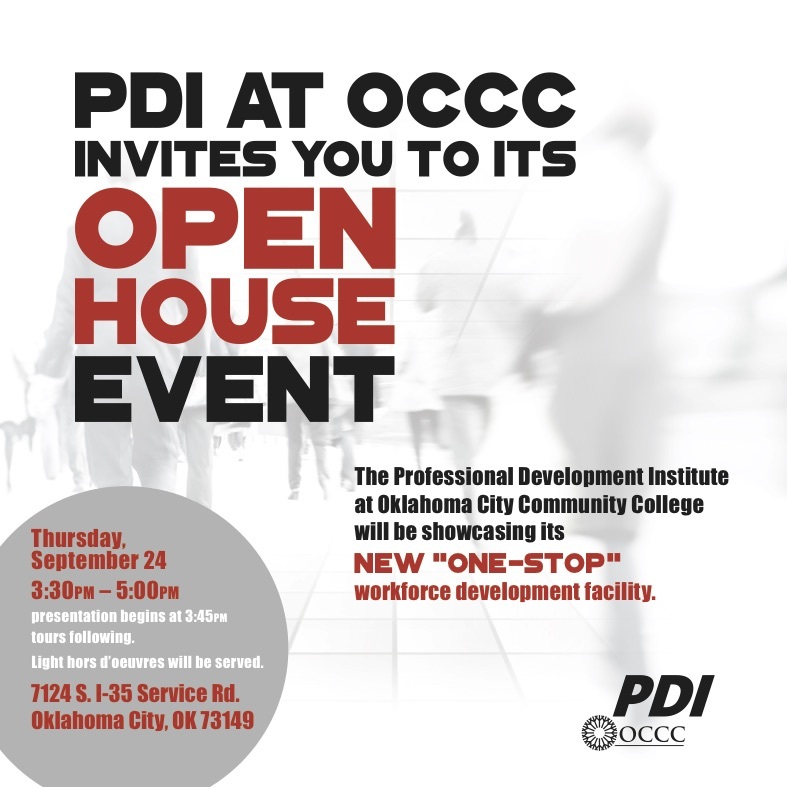 OCCC’s Professional Development Institute runs with exactly that purpose in mind, said PDI Director John Claybon. To show off the facility, as well as what programs the PDI has to offer, an open house is planned for Sept. 24, he said. “The main goal is establishing a one-stop training and development program facility, so that participants can come in, can get education assessment, they can complete their GED, they can obtain technical training, and then hopefully, that will lead to employment,” he said. Claybon said many of the PDI’s programs will be highlighted at the open house, including popular programs such as the GED program, pharmacy technician, alternative fuels, Commercial Food Equipment Service Technician, and the newest program, the Small Unmanned Aerial System Academy for drones. The pharmacy technician program will be highlighted at the open house. Claybon said the class is popular and almost always fills before the deadline. “Participants learn … state regulations, insurance restrictions, all related to pharmacy operations,” he said. Another popular program being highlighted at the open house is the alternative fuels programs, Claybon said. He said the program offers opportunities to those wanting to work on compressed natural gas or liquified propane gas vehicles and dispensers. “By state law, anyone who is providing work or maintenance on any of those vehicles has to be state licensed,” he said. 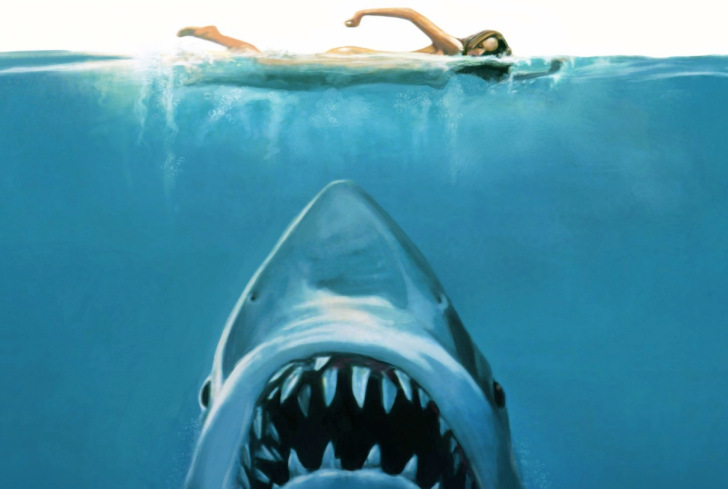 “We offer the certification training here at the college. We actually facilitate that program all over the state and out of state. Claybon said OCCC also offers the certification program for compressor and dispenser stations. Claybon said the PDI programs help produce important members of society. “The goal is to provide workforce development and a majority of our programs are focused on just that — helping existing employees either increase their skill level or helping employees obtain new skills,” he said. The open house takes place from 3:30 to 5 p.m. on Thursday, Sept. 24, at the Professional Development Institute location at 7124 S I-35 Service Road, near Crossroads Mall. 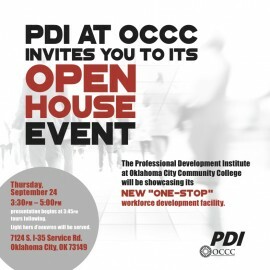 For more information, visit www.occc.edu/PDI, or call 405-682-7562.